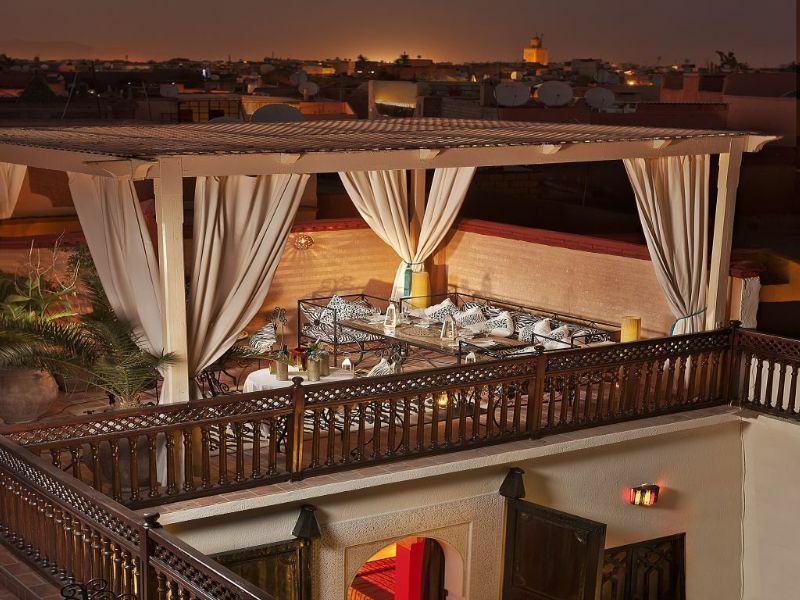 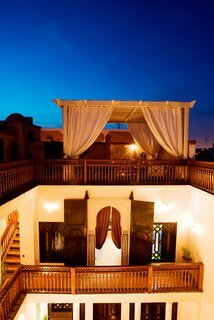 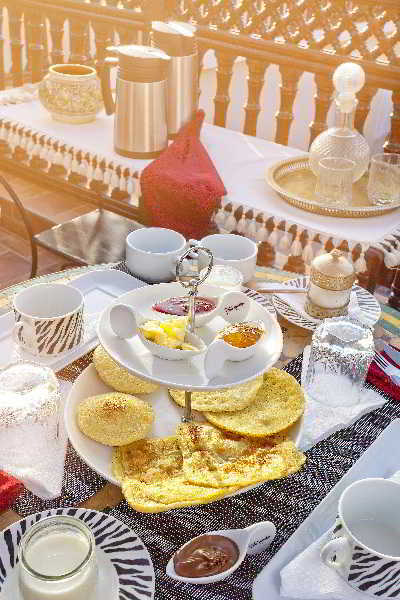 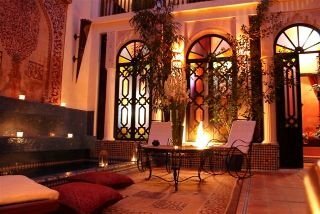 This hotel is an oasis of peace in the heart of the lively, picturesque medina, just a few steps away from the hustle and bustle of the famous Jema el Fna Square. 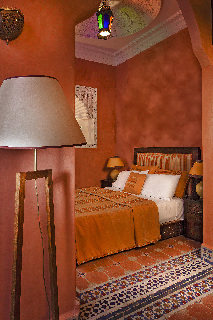 Marrakech-Menara International Airport is just 5 km away. 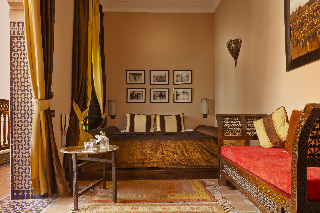 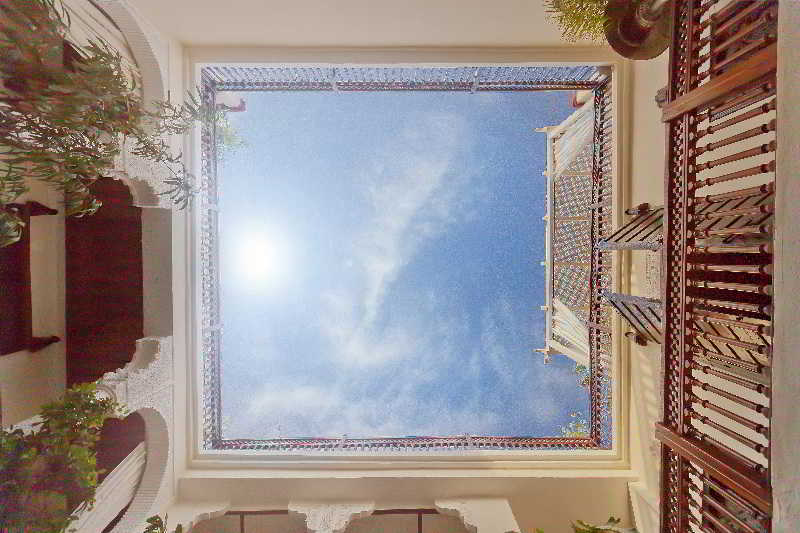 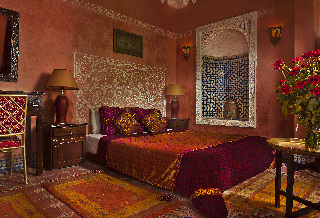 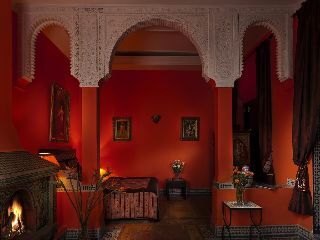 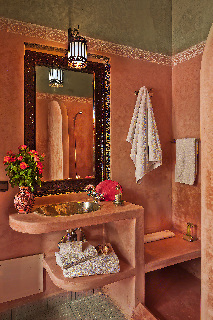 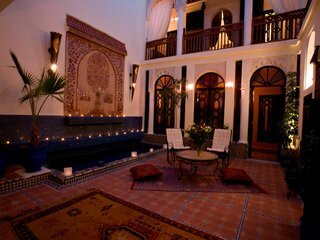 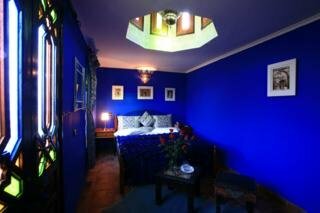 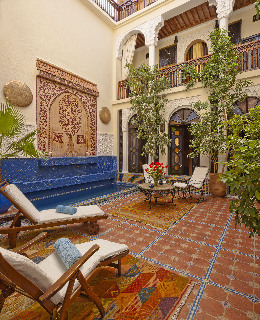 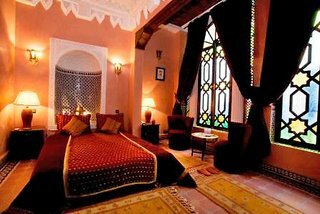 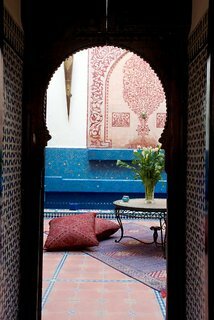 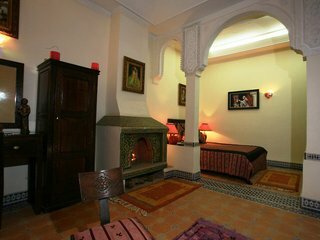 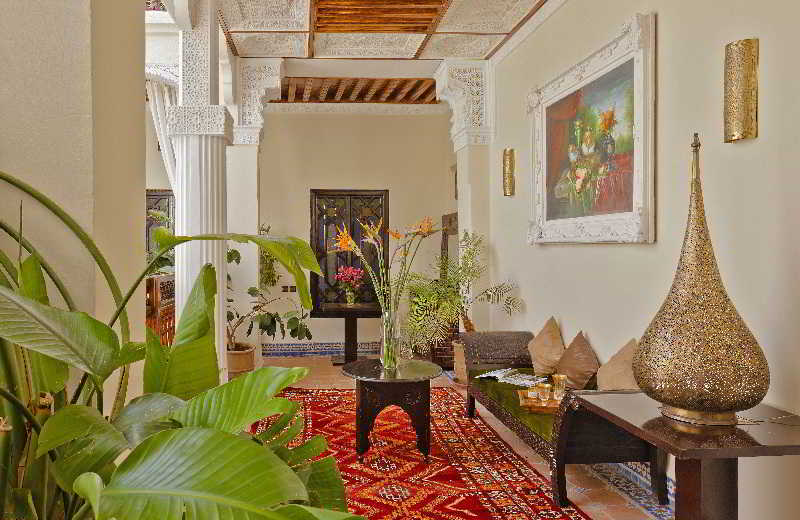 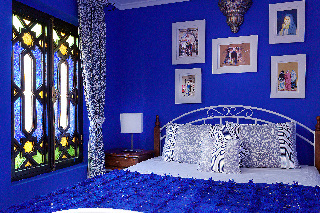 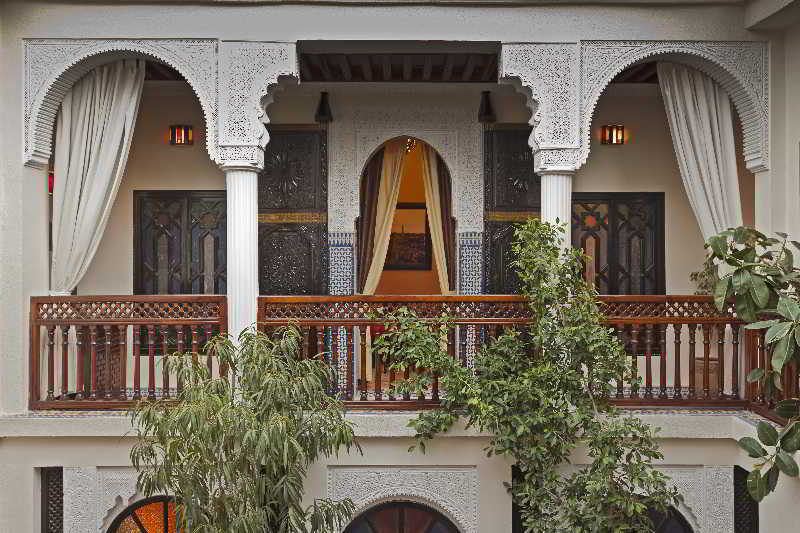 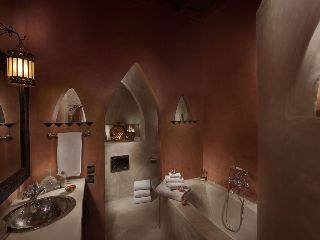 This Moorish style hotel is housed in a building dating back to 1830 and is comprised of 5 rooms including 3 suites, 1 junior suite and 1 double room. 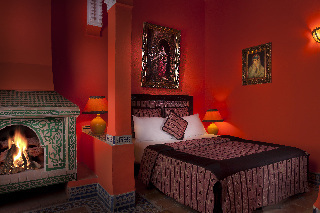 All accommodations are air-conditioned and provided with contemporary conveniences and entertainment amenities such as wireless Internet access, satellite TV and a stereo system. 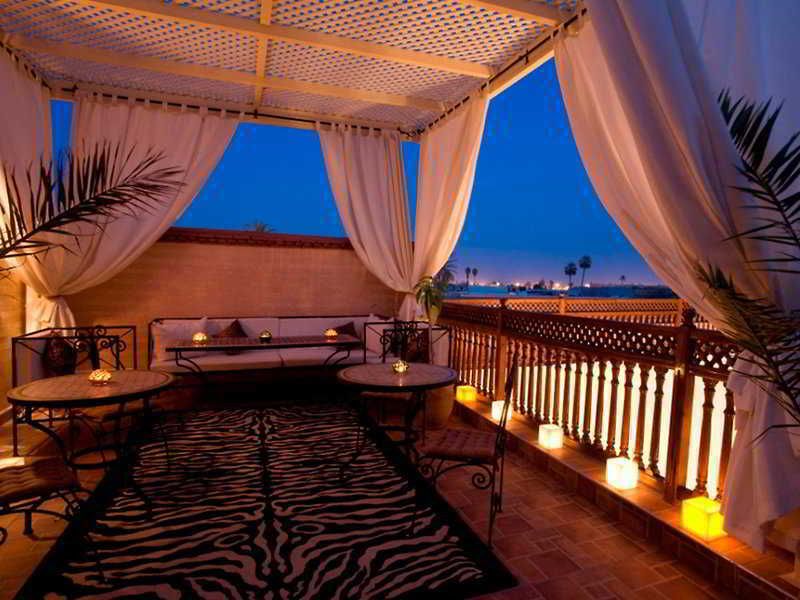 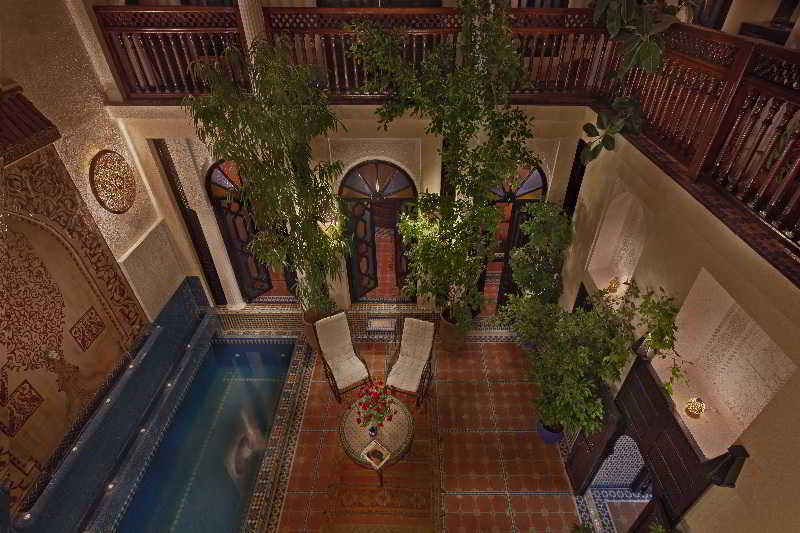 All units open onto a balcony overlooking a gorgeous patio with a pool decorated with arabesques and ceramic tiles. 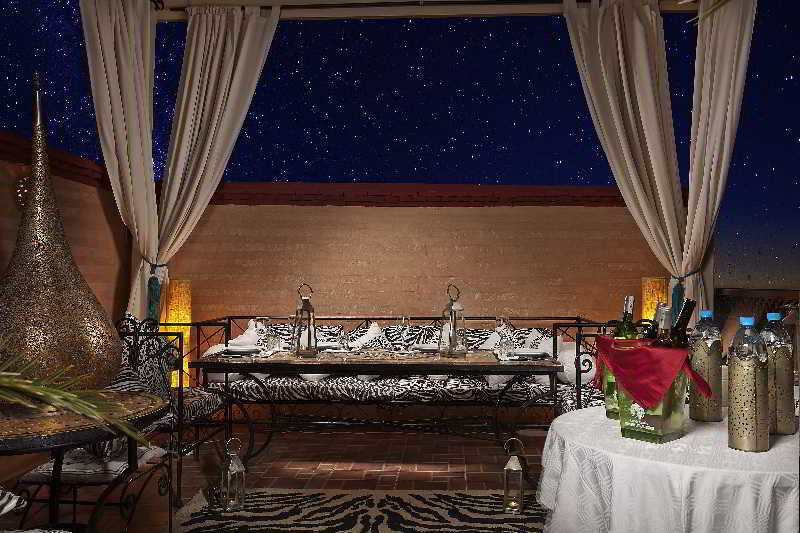 Guests can enjoy lying in the sun by the pool or treat themselves to a professional massage.